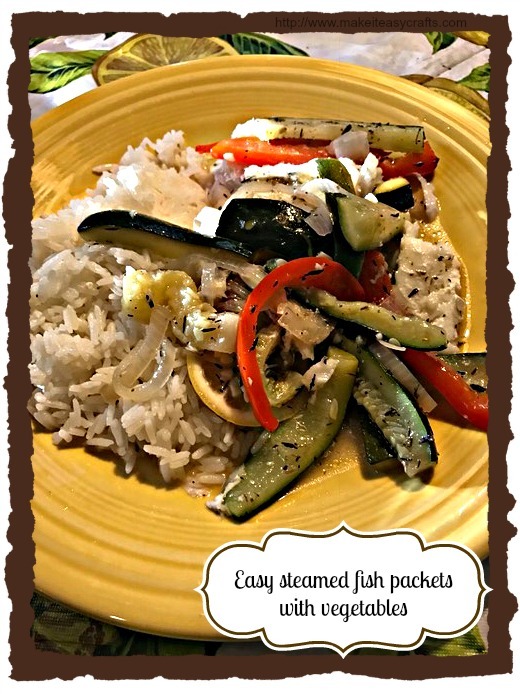 If you are looking for a quick, easy, and delicious meal then these yummy steamed fish packets are the perfect solution. It seems like there is never enough time for a healthy dinner with all the things you have to do each day. This mean is so easy and so delicious you will put it on your menu rotation. Fish is so healthy and many of us just don’t know how to fix it. 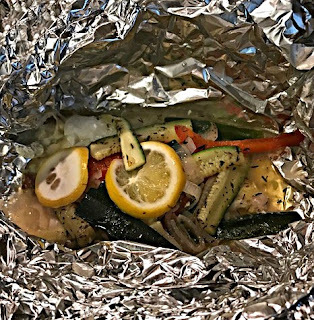 You simply cut up the veggies and assemble all the ingredients for the steamed fish packets in foil and bake for 20 minutes. Make some jasmine rice (I make mine in the microwave which also takes 20 minutes) and dinner is easy delicious and done! 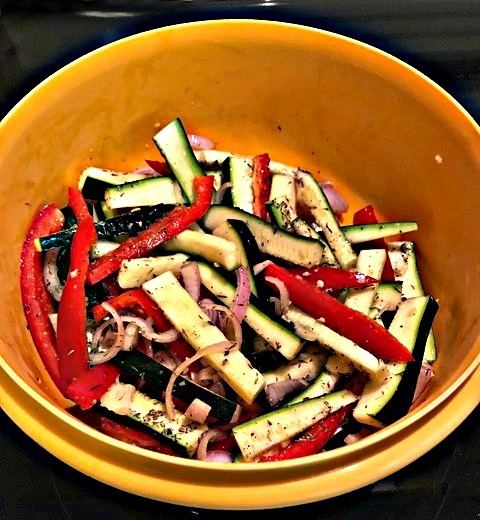 Cut up the veggies and put in medium bowl. Add the olive oil, thyme, and minced garlic. Stir together. Add salt and pepper to taste. For each packet use a large sheet of aluminum foil. In the center place a fish filet. Pile an amount of the veggie mixture on top. Next add two pats of butter. Place two slices of lemon on top of the butter. Then add a tablespoon of white wine. Begin crimping the foil folding the sides in and working to close the top. Make sure there are no openings so the stem doesn’t escape. Repeat with the other three packets. Preheat the oven to 375 degrees. 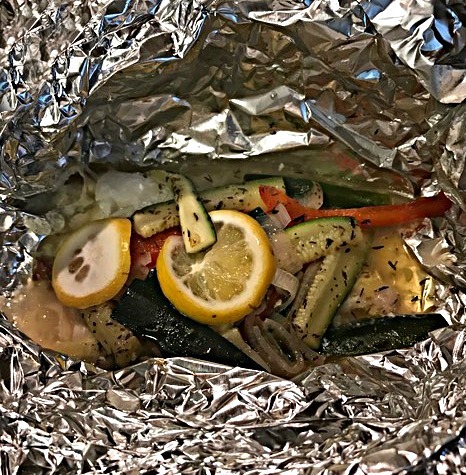 Place the packets on a large cookie sheet and cook for 20 minutes or until the fish is done. Be careful opening the packets as steam will escape. Eat in the foil or place on top of hot cooked jasmine rice. Don’t lose the liquid as it is very tasty! Looks so good Crystal!! Thank you!!! It is so delicious. The liquid it makes is yummy and it is super easy! !